Abstraction. 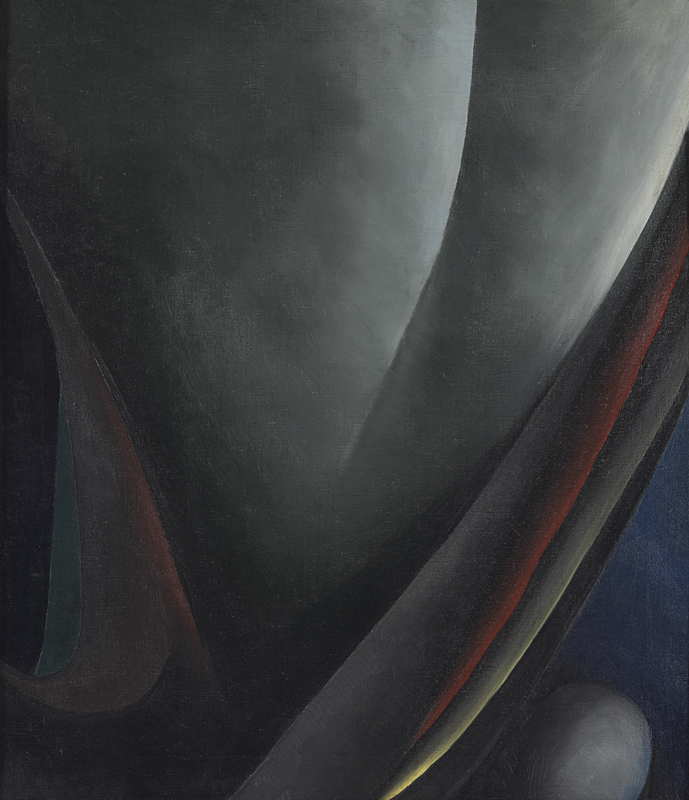 Blind I, hitherto entitled simply Abstraction or Abstraction I, one of the four paintings by O’Keeffe in the permanent collection of the Museo Thyssen-Bornemisza, is among her first abstract compositions. It is painted in her unmistakeable style of subtle, almost invisible brushstrokes in tones that are very neutral except for the red and yellow bands that cross the composition. As on many other occasions, the painter captures the magical atmosphere of the night in a mysterious image that may recall the sight of planets around a glistening moon.